cat / cat's got your tongue: an expression that is used when someone is quiet and isn't talking or responding when you expect them to. 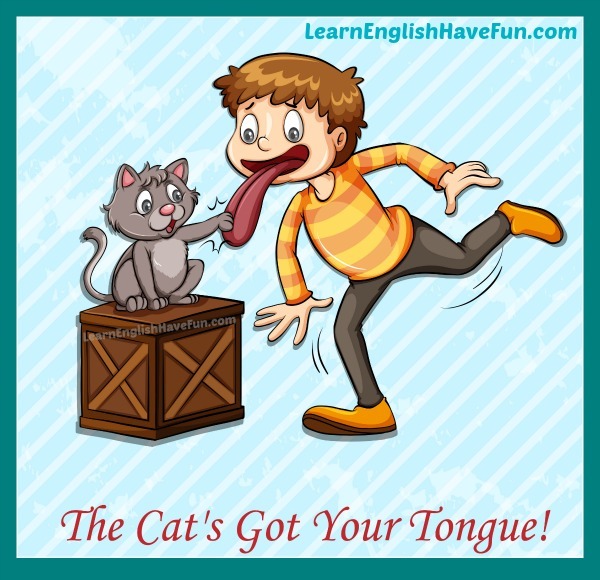 It isn't clear exactly where this idiom originated but it's obvious that it would be difficult to speak if a cat did get your tongue! We often use this expression when someone is not responding to us as a way to try to get them to speak and say something. 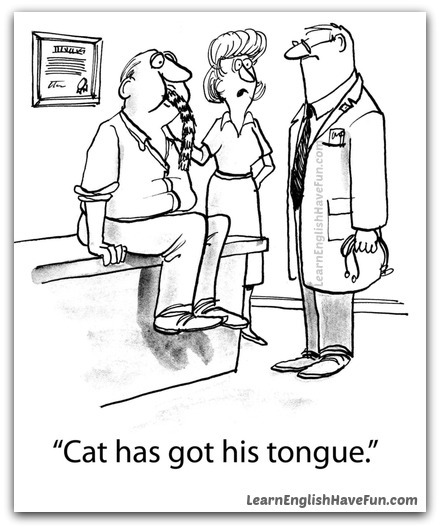 The full idiom would be "Has the cat got your tongue?" However, it is mostly used in the forms "Cat got your tongue?" or "Cat's got your tongue?" "What's the matter" or "what's wrong" is also often used at the beginning of the expression. Cat's got someone's tongue (my tongue, your tongue, his tongue, Bill's tongue, their tongue, the president's tongue, etc.). "What's your name little girl?" (no response). "What's the matter? Cat got your tongue?" "Are you still on the phone?" (No response). "Joan, I asked if you are still on the phone." (still no response) "Why aren't you answering? Cat got your tongue?" I caught Rebecca wearing makeup again and when I confronted her she just sat there speechless like the cat had gotten her tongue! You're breaking up with me? I don't know what to say. Cat's got my tongue I guess. Don't just sit there like the cat's got your tongue! Say something! Whenever we ask my boss about anything at the staff meeting he just looks at us like the cat's got his tongue and then his assistant usually says something. I saw some messages from another girl pop up on my boyfriend's phone but I was afraid to confront him about it. I still haven't said anything—it's like the cat's got my tongue. When you're giving a speech and the cat's suddenly got your tongue it's the worst feeling in the world. Are those my leather boots that you're wearing? Answer me! What's the matter cat got your tongue? Your father and I are waiting for you to explain the two failing grades on your report card. What's wrong? Cat's got your tongue all of a sudden? I wanted to say something at the meeting but the cat got my tongue. I went to the senior dance with my dream girl but it was awful because the cat had my tongue the entire evening. Ugh! Cat's got my tongue every time the professor asks me a question in class—even when I know the answer! Jane: Are you reading my emails again? Pauline: (no reply); Jane: Answer me! Pauline: (still says nothing); Jane: What's wrong? Cat got your tongue? If you found this idiom useful, sign-up for my free newsletter to learn about new updates to my website. 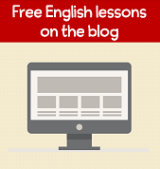 I also provide helpful tips about learning English, links to new mini lessons and notice about my writing contests. Practice your English by writing an example sentence of your own in the comments section. It will make it easier to remember this idiom in the future and I will also provide some feedback.